The team at Pocket App is always ready to face new challenges and help their clients with relevant solutions in the world of mobile. The mobile health care sector is one of areas of expertise, where we have delivered mobile applications that have helped our clients to reach their organisational and commercial objectives. MedePad is one such client. 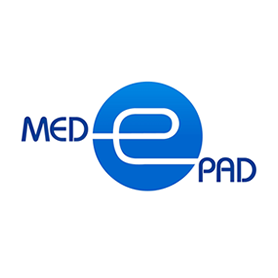 We recently developed and launched MedePad’s ‘Prostate Clinic App’. The core idea of the application was to improve communication between patients and clinicians. The app is pre-installed on 7” Android devices, which are given to prostate patients to take and use at home. The application provides all the information a prostate cancer patient needs to know. It enables patients to arrange appointments, track their treatment through their personal ‘Care Pathway’, and watch videos and animations which cover various aspects of prostate cancer and related issues. The doctors are able to update their diagnosis for patients from a CMS database which sits within the hospital, allowing patients at home to view updates. This ensures that patients get access to important up to date information about their condition and treatment. The application also engages and enables the patients to manage their self-care more efficiently. Pocket App are a strategic mobile agency, helping clients to better understand the mobile space and advsising how best to navigate mobile in order to achieve their organisational objectives.